If you are a regular visitor to Player.net then you have probably noticed we recently received a rather varied delivery from Arctic which included audio and chargers, but it’s cooling that this German company is most well known for. Having provided the world with thermal paste as well as CPU and GPU coolers for years it’s probably fair to say that they know what they are doing when it comes to squeezing every bit of performance out of a seemingly lifeless stack of aluminium fins which in turn allows us complete amateurs (that’s me by the way!) to pretend that we’re overclocking geniuses while using nothing more than an air cooler. 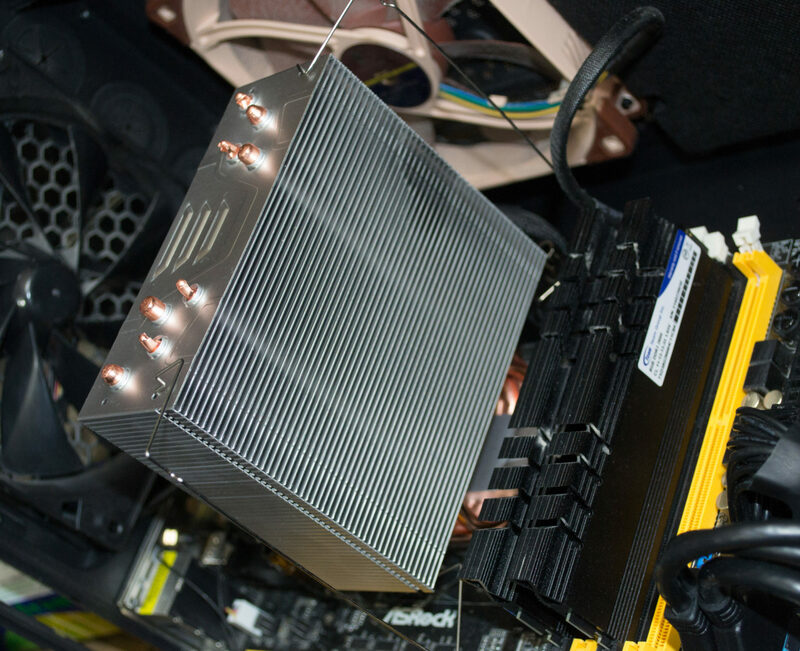 Well, here we have one of their staples, a CPU air cooler; yet this is one that suggests none of that overclocking performance we love because its fan only runs about 50% of the time. Wait, what? No, I’m not being mean, it’s their new Freezer i32 and its semi passive, designed to dissipate heat without the fan running at all when using non-intensive tasks like browsing the web, office applications, listening to audio or watching videos. It’s this semi-passive nature that screams loudly that it’s designed for corporate environments or HTPC computing where you want to be able to use the computer without distraction or having to turn the speakers up loud and drown out the sound of excitable coolers. The question is though, is it a one trick pony? Is the Freezer i32 only going to be considered for lightweight tasks and left on the shelf when it comes to anything more intensive than Solitaire? Well, I’m going to try to answer that question and many more, so follow and discover if this is the cooler of the future or just plain naff. Hi, thx for review! I have strange question… I have i5 6500 and case with 3 intake and 3 outtake fans. Can I use this heatsink without cooler?) And maybe you will recomend me somehing? thx a lot. Hi Denys, It’s a while since I used this cooler for the review but I recall the fan was only really necessary once the CPU reached about 30’C. I think that the i5 6500 runs a bit hotter than that so if you are relying on purely passive cooling from the 6 fans you already have then it will depend on their placement and how the air flows internally. It will also depend on what you are using the PC for whether or not the temperature of the CPU climbs. Since you have so many fans already I don’t think another one attached to the CPU cooler would be problematic though if they are all connected to the motherboard you may have to start using a hub for some of them. If you try it set up purely as a passive cooler though I would be very interesting in hearing your findings.